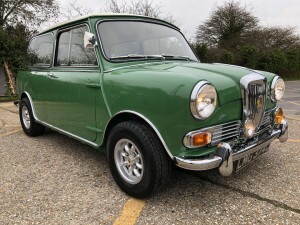 SOLD 1965 Riley Elf MK 2. 1000cc. Cumberland Green. Fully restored and in stunning condition. 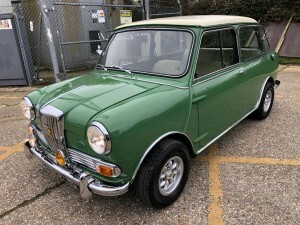 Hi, we are Classic Mini specialists Paul Higgs Cars based in New Milton in Hampshire. We specialise in all things Classic Mini and always have a large selection available at sensible prices. We pride ourselves on offering a friendly environment with objective advice with the occasional cup of tea! 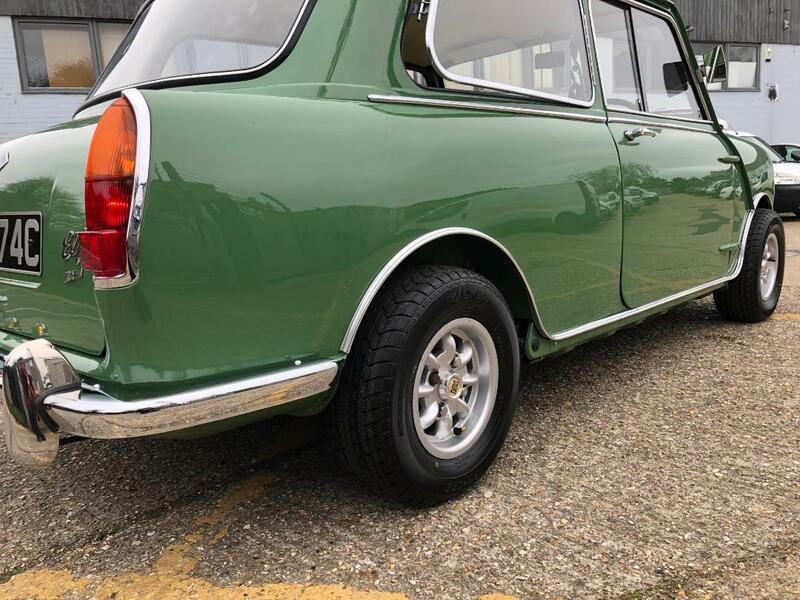 We have many years of experience with these amazing cars and we try and match the customer with there perfect Classic Mini. 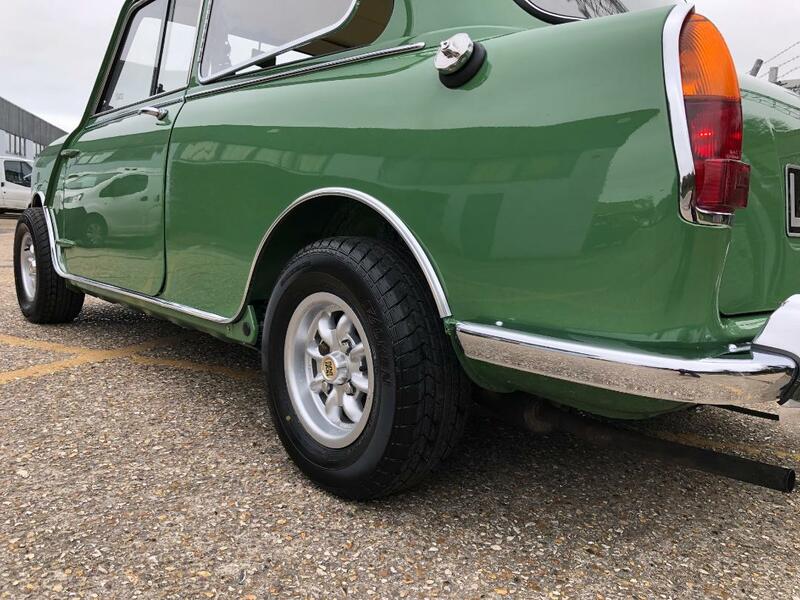 All of our Classic Minis are carefully selected and prepared with a service and MOT and thoroughly checked prior to you starting your Classic Mini adventure. 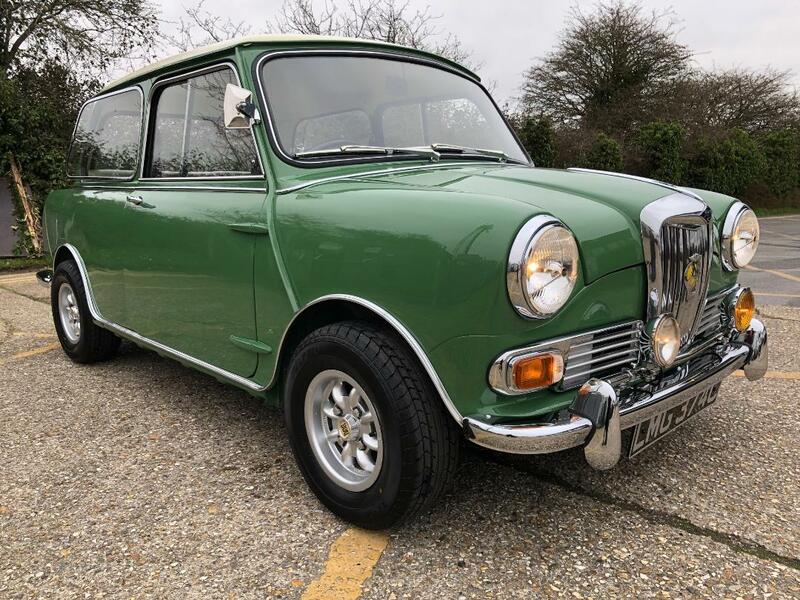 We are very pleased to offer an absolutely stunning and very rare 1965 Riley Elf MK2. 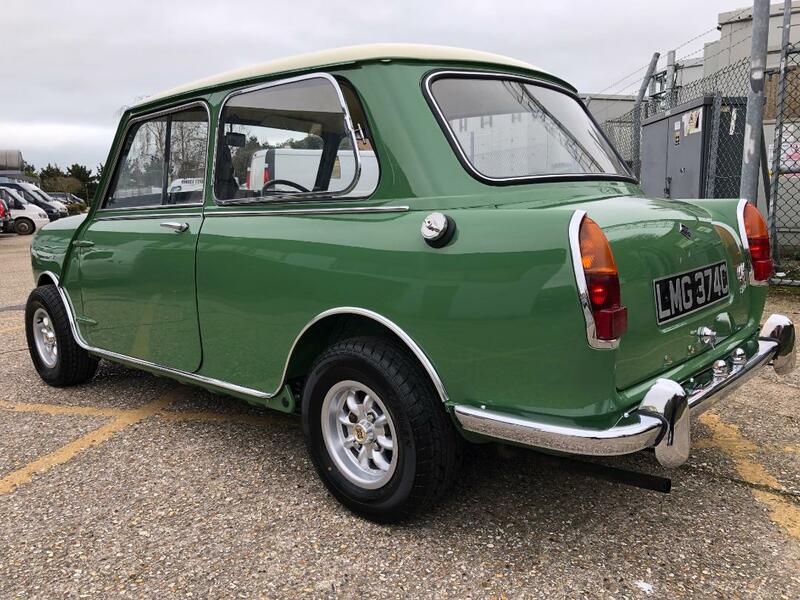 This matching numbers example is finished in Cumberland green with a contrasting Old English white roof, and has just undergone a three year restoration and is finished to a very high standard with an enviable list of new parts. 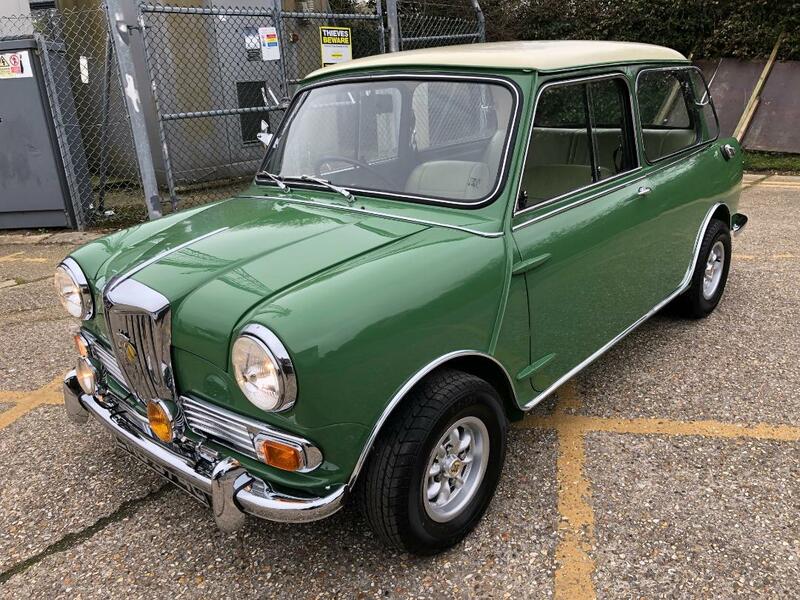 This is a MK2 Elf so it has many of the Mk1 Mini attributes such as sliding windows and external door hinges. 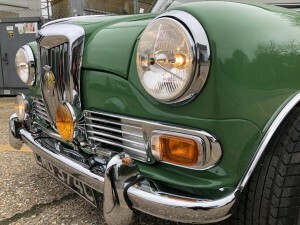 Riley Elfs are a fanatastic propostion as a Mini variant as they offer the fun driving experience with a Baby Rolls Royce appeal and have classy looks, this example is enhanced with a genuine set of period Minilite wheels with new Falken tyres and a very rare chrome lightbar with two auxiliary driving lamps and finished off with P700 Headlamps. 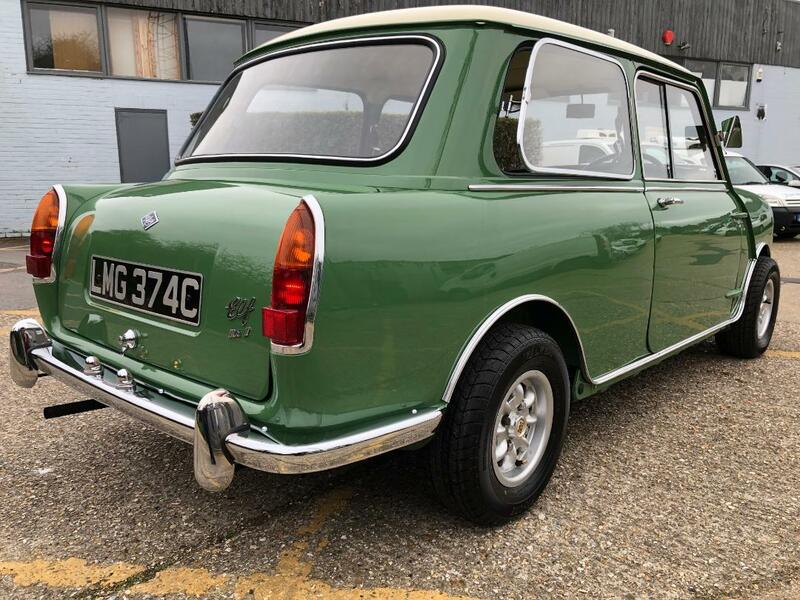 During its three year restoration nearly every part has been replaced or refurbished meaning its lucky new owner will benefit from just using and enjoying this Elf. The list of replacement running gear parts is very long and includes breifly all new brakes, suspension, subframes, wiring loom, Cooper S disc brakes and adjustable suspension. Standing in front of this example will confirm the work that has gone into it. On the road this Elf drives very well. 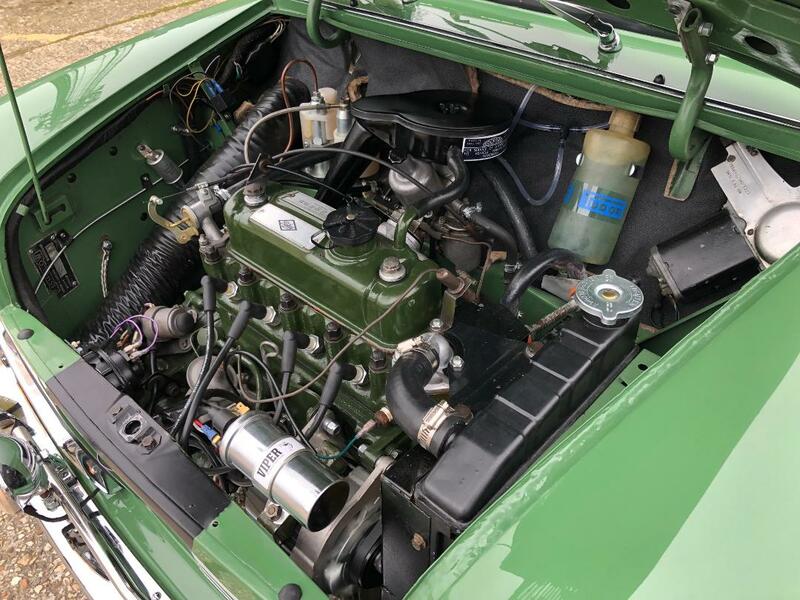 The original 998 engine has fantastic oil pressure and during the restoration a Cooper 12G295 head was fitted giving a useful performance increase. The Elf feels nice and taught and feels ready to be driven anywhere. This a dry suspension example with new shocks, rubber cones and adjustable suspension with wider wheels so the handling is fantastic, Driving this beautiful car is a real pleasure and it certainly gets lots of attention and righlty so. 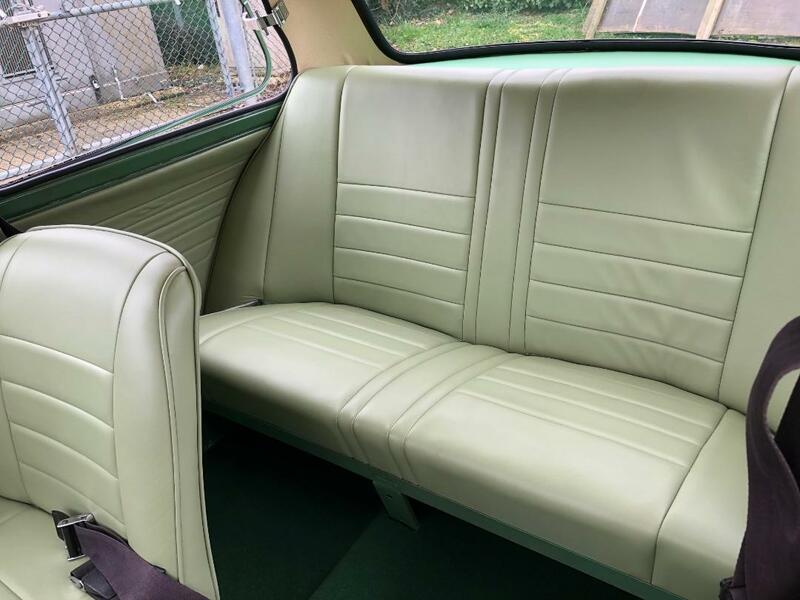 The interior is beautifully presented and has a very luxurious feel. 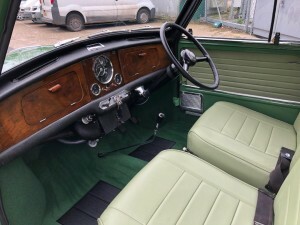 It has all new Newton Commercial Porcelain green leather seats, door cards, roof lining and carpet set, The Walnut dash has been restored and it houses the centre speedo with oil pressure and water temp gauages, it also has its original steering wheel and dim dip switch on the floor. The boot is also fitted with a new boot board and the boot floor is immaculate. 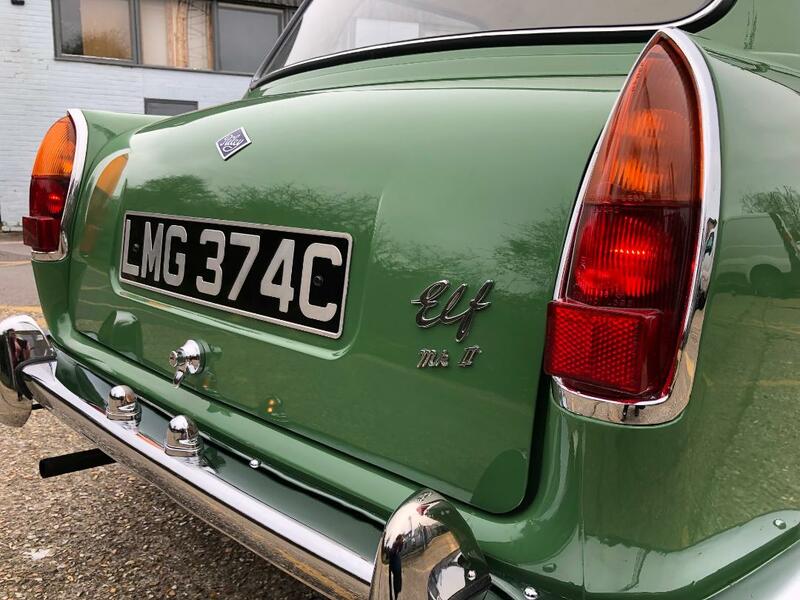 As you would expect, this Elf has a very solid shell and is the same colour underneath as it is on top and has gleaming paintwork, fantastic chrome work and could easily sit proudly on display at any show. The Elf is fully serviced and will be supplied with a full MOT and is also MOT and tax exempt. 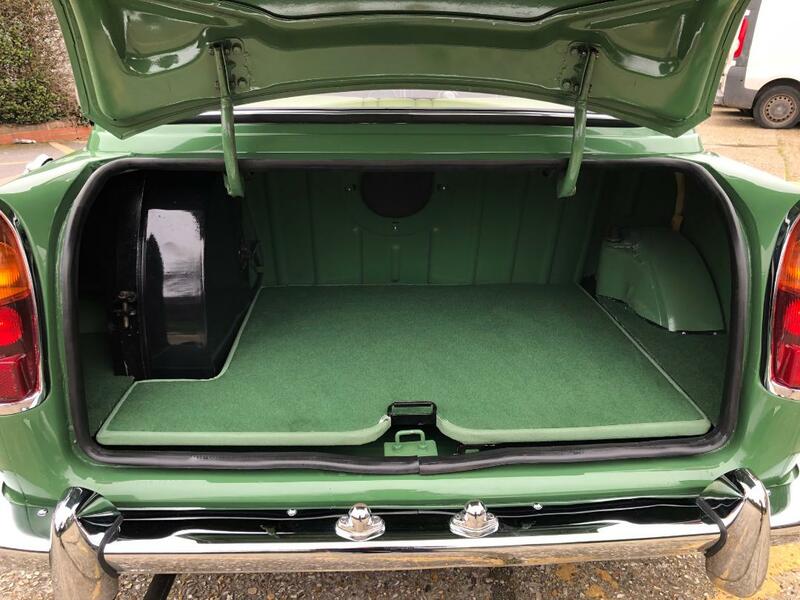 This is a rare opportunity to acquire a rare car that is not only wonderful to drive but stunning to look at and needs nothing but enjoying. We have recently teamed up with Pegasus finance helping you to spread the cost of your Classic. The easy to use link is on this website. 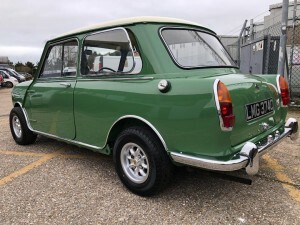 We are constantly preparing Classic Minis for sale so please get in touch with your requirements as we are always happy to help.